“Sometimes in order to find yourself, you need to venture off the map. Sideswiped is about finding out who you are and what you want to become. It’s also about making difficult choices and not letting the world influence your decisions. It’s about love and challenges that couples face. Lia Riley’s second book in the Off The Map Series didn’t disappoint. It continued the story of Bran and Talia, a young couple trying to figure out who they are and what they want to do, while trying to make their relationship work. When you’re young it’s all about figuring out what to do with your life, but when you throw love into the mix it gets complicated. Then it’s a balancing act of making that person happy and following your dreams. That’s exactly what was going on with Bran and Talia during the second book. At the end of Upside Down, the first book in the series, Bran flies from Australia to California to win Talia back and ask her to move in with her. Then Sideswiped begins when Talia is traveling back to Australia – to live with Bran and finish her thesis project at the University of Tasmania. They seemed to be doing fine at the beginning, but as Talia thought about what she would do next, their world together started to change. Bran had the opportunity to work with the Sea Alliance, a marine conservation organization, and Talia secretly applied for the Peace Corps. While Bran was so desperate to keep things the way they were, Talia was wondering if they could make things work and still be able to follow their dreams. I really enjoyed Sideswiped because the relationship elements were so relatable. It’s hard to be in love with someone when you want to follow your dreams. I had to let a relationship go because we wanted completely different things. I was going places that he wasn’t willing to go and the more we fought, the more I realized we weren’t right for each other. I’m happy that it turned out the way it did because I wouldn’t be where I am today, but that doesn’t mean it can’t work out for others. There are people who can make it work and have the strength to keep fighting – like Bran and Talia. So far I love the series and I can’t wait for the final book to come out. Thank you to Lia Riley and Forever (Grand Central Publishing) for allowing me to read a copy of this book for an honest review. Take a chance on winning a digital copy of the first book in the series, Upside Down. You can check out my review of the first book here. 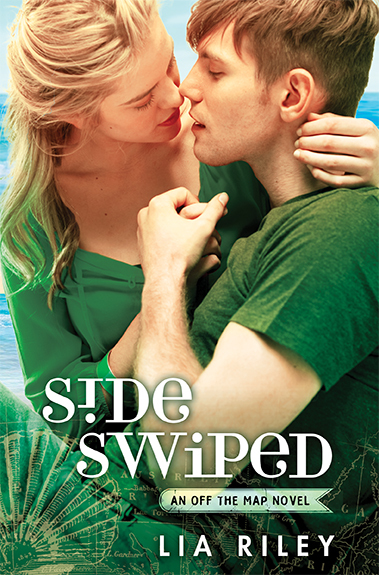 I have been given an extra digital copy of Sideswiped to give away via Net Galley. All my fellow Net Galley users please take advantage of this giveaway! 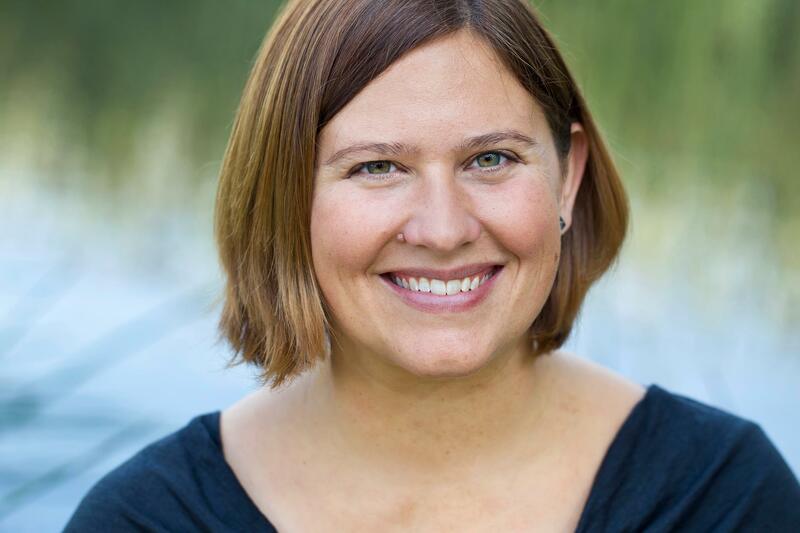 Lia Riley writes offbeat New Adult Romance. After studying at the University of Montana-Missoula, she scoured the world armed only with a backpack, overconfidence and a terrible sense of direction. She counts shooting vodka with a Ukranian mechanic in Antarctica, sipping yerba mate with gauchos in Chile and swilling fourex with station hands in Outback Australia among her accomplishments. A British literature fanatic at heart, Lia considers Mr. Darcy and Edward Rochester as her fictional boyfriends. Her very patient husband doesn’t mind. Much. When not torturing heroes (because c’mon, who doesn’t love a good tortured hero? ), Lia herds unruly chickens, camps, beach comps, daydreams about as-of-yet unwritten books, wades through a mile-high TBR pile and schemes yet another trip. She and her family live mostly in Northern California.